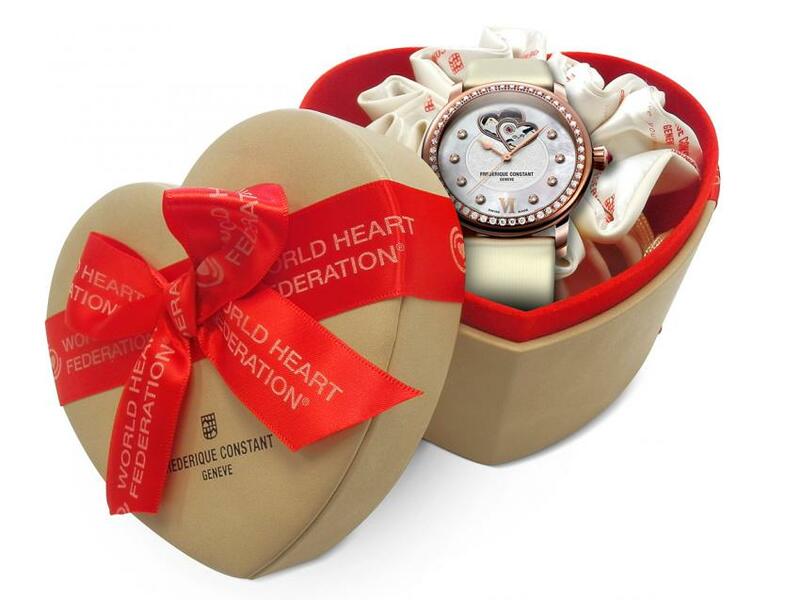 Frédérique Constant and Holt Renfrew, a high-end Canadian department store specialized in luxury brands, are inviting you to an exclusive reception to introduce the Frédérique Constant Ladies Automatic ‘World Heart Federation’ Collection. The highlight of the event is a private presentation by Peter Stas, CEO and Founder of Frédérique Constant that will take place tomorrow, February 12 at 3:00 p.m. The Frédérique Constant Ladies Automatic ‘World Heart Federation’ Collection consists of a series of unique and beautifully designed timepieces, through which the brand actively supports the World Heart Federation and its worldwide member organizations, such as the Heart and Stroke Foundation of Canada. The main attraction of the watches in this collection is the Double Heart Beat aperture in the dial, revealing the ‘beating heart’ of the handcrafted mechanical movement within. The watches are available with a diamond-encrusted bezel, while all models feature a sultry satin strap with red lining and are fitted on a folding buckle to complete the most elegant of offerings. Being based in Montreal, unfortunately we’re going to miss this unique occasion to meet Peter Stas. However, if you are among the lucky ones that can make it, we would love to hear about your impressions of meeting one of the key figures in the world of watchmaking.